Do you love open-air excitement and unrivaled thrills? Few models will deliver like the BMW Z4 Convertible. 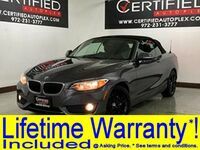 A nimble two-seater roadster that promises powerful engine options in a sleek, athletic package, the BMW Z4 is a fan favorite that automotive enthusiasts have come to love. 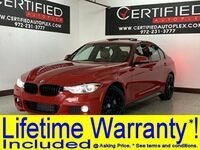 Take your day-to-day drive to the next level and get behind the wheel of a luxurious, performance-tuned and affordable used BMW Z4 Convertible in Carrollton, TX when you visit Certified Autoplex. Available in three basic platforms – sDrive28i, sDrive35i and sDrive35is – the BMW roadster convertible promises exhilarating thrills when you slide into the driver's seat. 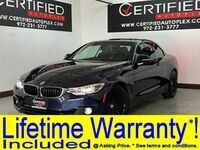 A sleek style is complemented by a luxurious, driver-focused cockpit and a wealth of innovative technology features that are made even more attractive by affordable prices, low mileage and available lifetime warranties when you choose a pre-owned BMW Z4 at Certified Autoplex. Are you ready for unrivaled power and speed? Designed and built to dominate the competition, the BMW Z4 is the total package. An arsenal of powerful engine options pair well with an aerodynamic style, precision handling and a one-of-a-kind convertible experience to make the BMW roadster an automotive masterpiece. 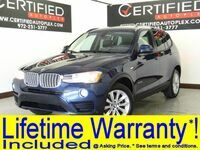 Enjoy elite thrills and get behind the wheel of a used BMW Z4 Convertible in Carrollton, TX when you visit Certified Autoplex. A performance-tuned, rear-wheel drive roadster, the BMW Z4 promises unmitigated thrills when you hit the accelerator. Stock BMW Z4 models employ a 240-horsepower 2.0-liter TwinPower Turbo four-cylinder that can be mated to a manual or automatic transmission. An upgrade to the BMW Z4 sDrive35i adds a power-packed 300-horsepower 3.0-liter TwinPower Turbo V-6 that will amp up the thrills. Top-of-the-line sDrive35is editions feature a refined 335-horsepower 3.0-liter TwinPower Turbo powertrain. 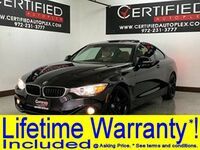 When you opt for a pre-owned BMW Z4 at Certified Autoplex, you will enjoy a wealth of standard luxury amenities and a smorgasbord of innovative technology features. Entry-level BMW Z4 models possess standard 17-inch alloy wheels, premium SensaTec interior, dual-zone automatic climate control, a BMW iDrive infotainment system, Bluetooth technology and much more. Additional equipment packages highlight the BMW Z4 spec sheet and will add premium leather interior, heated front seats, a heated steering wheel, navigation, an adaptive suspension and more. 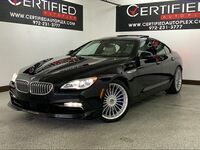 Interested in a BMW Z4?